“I’m so afraid to love you, but more afraid to lose. They lunched on the beach not far from the house. She ate while he merely looked on. Aeris couldn’t help but turn to peer back though a stone seemed to grow in her heart. Life in Midgar had taught her practicality and that dreams were for feeding dead embers. The ocean crept in and she shut her eyes drowning in leather and pure winter skin. Visions behind taunted the maid, and a tear cut through her lash veil. There’s enough salt in the air, and I’m a silly, dumb girl to think such foolish thoughts. She refused grief as his arms wrapped around, and Sephiroth lifted her up as he stood. Blue skies had been swallowed and even the sea, though it still whispered, had turned sadly grey. 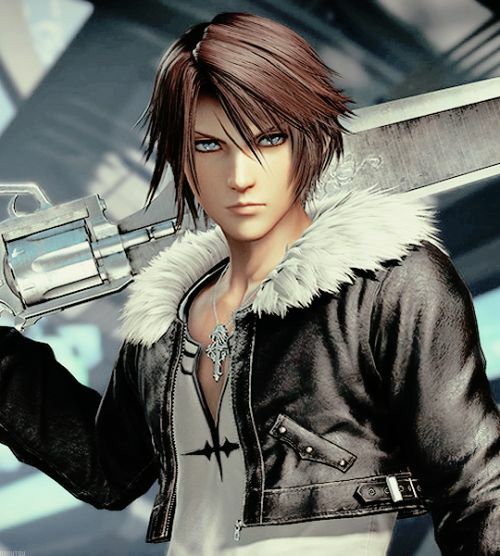 “The storm’s coming soon,” he said with a quick sniff as the Cetra curled into his chest. The breeze had matured into almost full gale, and Aeris shivered for want of her coat. Frantically rubbing her hands on chilled arms, she tried to force some warmth back in. A harmony of buckles clinked in her ears and sweet heat was dropped over her shoulders. Aeris blinked up to the wind whipping silver across alabaster skin. More than new warmth made the flower girl blush as he fixed black leather around her slight form. “Sephiroth, no! I’ll get sand in your coat.” She tried peeling it off, but his hands though gentle were adamant. He fastened the top buckle which came down to her waist as the length dragged behind like black train. “You know I won’t be cold.” He smiled as he tossed wind-blown hair from his face and offered the maid his hand. Aeris gathered the leather in one of her fists for even fastened is slid off her shoulders. The complexity of straps and buckles rang softly in her clutch. She was thankful he’d left his epaulets in their room for she couldn’t bear such heavy armor. Entrusting her small fingers to his, the flower maid gave up trying to hide her awe. Does that lush moonlit mane taunt the skin on his back or is he so used to it he feels nothing at all? She blushed as he smiled, the softest of chuckles waiting behind his lips. Where his skin ended and hair began was near impossible to tell just by hue. My fingers could find it, she thought and quick shyness turned her head to watch the sand twist like beige snakes. The coat slipped just slightly, but enough for bare shoulder to swim into his view. Emerald yielded before sultry jade to paint light on that perfect pale palette. He knew she was clothed even under his coat. But even a monster can dream. Have you had your fill of looking at me, Aeris? It would be playful and teasing and wrong, but she wet her lips and the sigh of the sea became a beckon for what couldn’t be. Aeris tried hiking his coat to her hips and that lifted the skirts of her dress. For someone so short her legs were quite long and the sunscreen had kept them unblemished. The motion pulled Sephiroth’s gaze to her, and there was no armor for this. He drew her near so she leaned on his arm where hard muscle warmed her check. “You know you’d make a very poor pillow…” she tittered peering up. “You had no problem this morning, little rose, resting against my chest.” The wind attempted to scatter his bangs as they broke against her face. Lips so pink could beg only one purpose, and he bent to take it with her sigh. The weight dropped from heaven like the plate long ago, and the kiss shattered in plaintive cry. She was in his arms and trembling wildly though the rain was barely a mist. Through an almost dusk dark, Sephiroth’s eyes gleamed, the only part of his face so astonished. Salt was salt, but he could’ve smelled her tears buried deep in a thousand oceans. All these terrors, little flower…is it because you’re with me, and I’m the ultimate nightmare? He swept the maid up still wrapped in his coat and began to stride across the sands with long steps. She locked her fingers in moon drunk silk as the heavens grumbled above. “Y-You can?” She did so in surprise to his mild smile. “So…you can move faster than the lightning?” She gave him a sideways glance. “Very much so, little one.” Her eyes were full open, almost wide to her awe, and Sephiroth swore he could see slightest smile. “It’s clean and makes the raindrops taste pure.” He lifted his head and flicked out his tongue, and Aeris couldn’t help the soft laugh. His motion was fast so she barely saw pink, but his lips matched that hue in the dim. The Cetra attempted to taste the rain, too. Drops speckled her nose and brushed the tears from her cheeks before one found its way to her lips. It was cool as the air and pure as he said, but she didn’t taste it alone. His tongue was still quick to slow slide along hers as his hand covered half of her face. The next report from the sky still made Aeris jump, but if asked, she could not have said why. 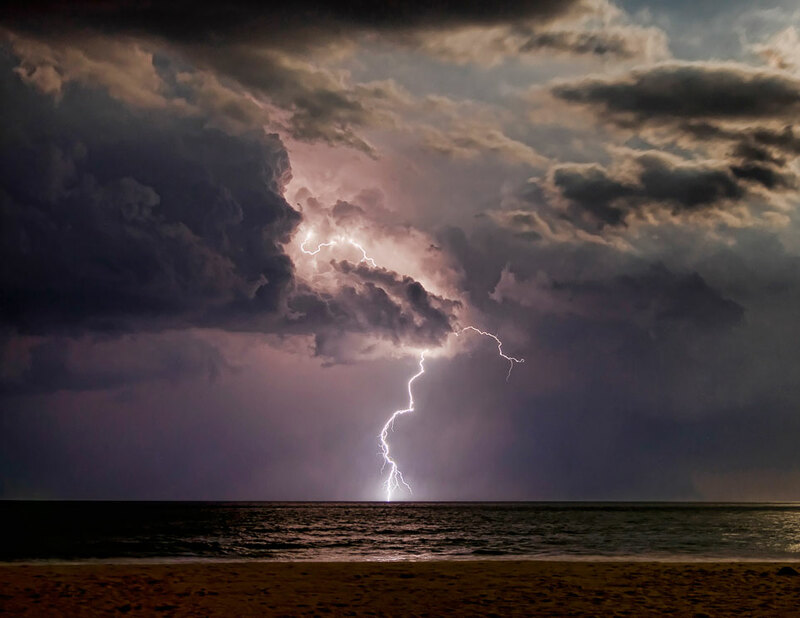 Even through the storm the ocean still whispered, and the thunder faded before dying alone. The sea took its bones but let the rain stay for the Planet thought that was enough. She had her hand to his cheek as her eyes snapped open, and his narrowed at summer in doubt. She tried to recede it, but it was too later, and he held the maid close in concern. “What is it ‘just,’ little flower?” The shadow of ire burned under his words that someone had frightened his rose. The lame homeowner? Was there something I missed? She was never once out of my sight. “Well…” Her mind raced for she was already a burden and his other obligation called loud. “There…there are no flowers here.” It had been quickly noticed throughout the whole town. Not a single bloom was bright sprung. The air pulsed with spring, despite the cool breeze, and the Cetra expected such bounty, but the Whispers, so lovely, had not even one daisy, and that seemed to her quite strange. “Have you seen some?” she asked, brightening in his light. “Do you miss them, Aeris?” He turned to her then and their lips were mere inches apart. “Miss what, diamonds?” She initially blinked so confused, then again to a spare drop’s invasion. Her took her hand and gave it a kiss, holding longer to drive out the cold. “The Whispers will not be flowerless long, now that you’re here, little rose.” Soon you’ll leave her…you’ll leave her forever. She’ll be safe in this place and you know it. She won’t need you anymore. No one will again. You’ll be less than a ghost lost in cold white seeking what you don’t deserve to find. His obligation to her was running out. Thinking otherwise was like taming the tide. He was so used to the sound of her heartbeat and the soft, summer scent of her skin. Her tiny form in his embrace, curled against in utter trust. This is where she runs for fear…right into my arms. His dark torn heart beat once for joy before sorrow dragged it down. “It’s sadder today…your poor, broken heart,” she said, suddenly looking up. His hair could not hide it, nor could his face. It was laid bare before her eyes. Aeris gave a little, “Oh,” curling fingers on his cheek. The instant was gone where the mask could’ve saved him, and Sephiroth lowered his head for shame. I don’t want to leave you, Aeris. I want you in my arms til the death of time, but this moment won’t last, and I don’t deserve it…I don’t deserve it even now. Even if I had no grave to find, you are not for me. “Nor yours, Sephiroth…” she murmured so swallowed by pulsing Mako light. “My full name now?” He smiled at the re-given title then turned his gaze back to the waves. “Then at night the moon and a myriad stars all shimmering against the sea.” Emerald bright slid back to her, pupils thinned by that path of light. “That all will be yours, little flower,” he promised. She answered his look with a kiss on the cheek that Aeris hoped would satisfy. It was better than a match in unending darkness, but it didn’t lift his concern. The sun cracked the vault and the rain tried to muster, but soon even the mist gave away. Aeris wished it return even with thunder for it would explain the damp on her cheeks. What am I going to do dear friend? Soon he’ll go away. The Planet thrummed and the ocean sighed, white caps lapping the shore. “Are you alright, Aeris?” The low voice shut her eyes. He was walking again and the motion was soothing, almost enough to forget. “A shadow, a ghost, or a thorn.” He looked ahead as Aeris sat up seeking cracks in the flawless mask. “They’re not lies, Sephiroth.” But he looked away so she was caught in the echo of light. “The Planet itself insists on this truth.” The flower girl gave it a half-reproachful nudge. “And it’s always tried flattering me.” She sighed and shut her eyes again, sliding her arms around his neck. The yawn wouldn’t wait, and though his shoulder mocked marble, it was still a warm place for her head. The once general smiled, eyes lighting the sea, as he slid the Cetra back to both arms. “Are you comfortable, little flower,” he asked glancing down. It was meant to be a quick look to confirm, but once spilled, the emerald could only stay. “Yes…very much so, Sephiroth. Comfortable, warm, and safe.” Her braid and bangs were haphazard and damp, stray strands tangled across her face. He’d never seen anything more beautiful in his life, and he bent to kiss her brow. Aeris smiled and buried her fingers still deeper in silken, moon-kissed hair. If everyone could feel this safe and protected, how wonderful would this world be? The image of children huddled in gloom made the Cetra suppress a whimper. They had only each other, and that wasn’t enough for the dark plate so heavy above. She didn’t want to count them for she knew there were less, and her dear friend was silent just letting her see as mournful music awoke memories. “Were you always this sleepy, my little flower?” Midgar dissolved in the thrum of his voice. Aeris couldn’t tell him for no words had been formed to express her gratitude at being distracted. “No,” she answered half opening her eyes to the worry on her guardian’s face. “Remember I told you? I only sleep well when I’m safe.” It was the brief flash that proved his surprise for his expression never moved. “Then…dream of light, little flower.” He quieted his voice and her repose was almost instant. She looked even tinier in his arms, wrapped in his great black coat, but more than that she looked so happy, and Sephiroth could not fathom why. Her brow did furrow beneath his scrutiny and the general hoped his thoughts hadn’t snuck in. The whirr of the Whispers bounced off the waves without overriding the natural hush. It was so different from what he had known for the windmills too helped this balance. Gone was the reek and the pall of corruption…unless he counted himself. Which I do. Always and ever…but she forgives me. He remembered it like a lost song, the melody once found destroying all false notes as though they had never been sung. Aeris did dream to his soft command, but it was not light as Sephiroth had wished. Through the Whispers it started, and she held her shoes and flower basket in either hand. It was whole as though it had never been broken by her attackers so deep in the slums. She was desperate as sand clung soft to her soles for she needed gil to survive. In Midgar her stock had been quite a bounty, but here in the sun it wasn’t enough. The flowers in her clutch were more beautiful than ever in colors the rainbow did not know, but the townsfolk looked at her oddly for they had never seen such things before. They patted her head and said she was pretty but for flowers they had no use. The sky above grew darker and darker until it turned into iron and steel, and she stood on the grave of a thousand dead children as the petals blew over their bones. She awoke with a start to tears on her face and a gentle voice calling her name. Their room in the Chatham coalesced in her eyes, raindrops sprinting along down the window. Her protector’s low, familiar tone made the flower girl twist around. Sephiroth was sitting close to the bed, legs crossed as he read her old book. Upon seeing her awake he laid down the volume open upon his knee. The black leather coat clothed his shoulders again making flawless skin gleam like frost. Aeris glanced down to see her white dress and gave a huff of self-annoyance. It’s probably now wrinkled and that’s all my fault for falling asleep again. The sight of him cooled this a bit for she could give him nothing but gratitude. There were two blankets wrapping her round, and the query swam in her eyes. “I’m alright,” she assured, rubbing her arms as she blinked her gaze away. Sephiroth stood and placed the volume still open upon the nightstand. The Cetra lifted her head to follow his eyes, which held all the expression on his face. He sat down beside and took her hand, while Aeris tried not to wilt for that scrutiny. She couldn’t imagine being interrogated by one such as him. Those pupils would slice right through to a truth I didn’t even know I carried. But as always his palm was gentle and warm, while his beauty stilled her gaze on his face. Something you must soon forget. But he only sadly smiled. “What is your worry, Aeris?” Turning her hand, he gently traced the lines upon her palm. Not just when we kiss, not just when he speaks, his very touch stills my troubles. Opening lids she didn’t know where shut, Aeris forced herself to remember. Her guardian’s brows furrowed pale skin as he tilted his head. One brow lifted high, but he gave no response and just gently swirled his thumb on her palm. “You can stay here as long as you wish, Aeris,” Sephiroth promised, his voice barely besting the rain. “Oh.” Surprise shut her mouth with a click, finger curling like grass in the sun. The instant she’d thought it, the flower girl had made ready for an arduous fight, believing it better if they were still enemies as she’d claim an easier win. He’d insist under the guise that he owed her her life. You’ve given it back to me, Sephiroth. That and so much more. You rescued me. You brought me here. But even greater you’re my friend. I needed that more than anything, and that’s what you gave to me. She gazed up in gratitude and sighed in relief. Rain gurgled in the gutters and drummed lazy fingers on roof and window pane. Each wrinkle in the distant sea welcomed the drops like lost kin. The soul of the Planet beneath the damp sands whispered love in its daughter’s ear, and the flower girl felt her heart pulled taut, each thread of it close to torn. “No.” The tension eased but little in the explosion of that one word. “You are not buying me a house. I refuse to accept that,” she declared glaring up, and those eyes burned with sadness above. With motion so swift it fell between blinks, he slid from the bed to the floor. On his knees looking up, still holding her hand, the great general didn’t care that he begged. “Please Aeris…” He bowed his head. Summer stole the burn from jade to warm her cheeks with tears. “But you don’t even know how much it will cost.” Aeris valiantly tried to use logic. “Or if it’s even for sale!” She cried desperately. “But you were…thinking it…” The flower girl trailed off for everything in his expression said that he was not. Aeris couldn’t help it and started to sob. Maybe his powers of manipulation manifested even beyond his control. It was a frightening implication, but the little Cetra’s hands were encased in his and she felt nothing but strength benign. “Will this make you happy, Sephiroth?” She searched his face through her tears. “My happiness doesn’t matter, little one.” He bowed his head in silver surrender, and Aeris could only sigh. “I…” she stuttered, “I can…take care of myself, you know.” It was an attempt to be indignant, but she pressed her cheek harder to his palm. She did not say yes, neither did she nod, but Sephiroth knew he had won. Aeris for her part could not understand how slivered eyes could be so pleading. She was in his arms in between the seas sighing as tears ran down black leather like rain. Are you weeping for joy or weeping for grief? But why would you grieve, little flower? He stood up and held her tight as Aeris shook and sobbed. There was joy in her grief and grief in her joy, and none could see in between. When the force of them both made her weak, his strong arms kept her standing, and when the end of the tears stuck to her lashes and lids, he cleaned them gently away. The salt did not deter the kiss from above as she drowned in a silken moon sea. The rain fell slow as evening wore on, so Sephiroth opened the window. Without the fear of lightning and doom, the flower girl enjoyed the fragrance. The melding of fresh with salt, wind, and sand let Aeris’s mind still for the moment, and the breeze was blowing a fortunate way to not bring the elements in. The Planet full burble like a bird in spring plumage, and Aeris tried to ignore as she smiled. This is where you want me, my dear friend…I can fulfill that request if not the other. That you must cease for it won’t be. Obligation is the master of all. Dinner was ordered though she wasn’t hungry for the turmoil still trembling inside, but her protector would worry, and the food here was good as she ate in the quieting eve. Then later when night cleared the remnants of rain, he read to her by the starlight. She followed the words by the light of his eyes til she shut summer green to just listen. I don’t want to wake…I don’t want to drown. I’ll only drown in sorrow. As the final word faded, she met his gaze where her purest image dwelled, caught but uncut in the sliver of black amidst the emerald light. Sephiroth chuckled, “I’d never take you for a narcissist, Aeris. She squeezed the hard shoulders beneath black leather as he slanted his mouth over hers. When breath finally failed her, she threw her head back so his lips glided over her throat. Please don’t leave me…she ached to say it in the part of her mind still coherent, but she couldn’t beg for that. She couldn’t be so selfish to ask him to stay when he’d been denied so much. The poorest child in the darkest slums had its mother’s memory for comfort, but the greatest of generals could never claim that and had to search the northern wastes for her grave. A single tear stirred behind her closed lids, but she’d wept enough for this one day. When evening deepened to the ocean’s sigh, he held her still face to face. Changed into night clothes to his removed leather coat so silver cloaked him crown to knee. Aeris twirled a bang round her finger as her guardian laid lips to her brow. It was impossible not to stare at him, the angel’s face and flawless skin. Her hands slid over the marble shoulders as Sephiroth gazed down with halved lids. She wanted to wish that none of this was real and that her life was the slums so dark. Better that than what more tomorrows would bring. Better that than the day they would part. “I’ll promise you all.” He sealed his eyes but light gleamed round the seams. So Aeris fell asleep in the warmth of his arms, and when she awoke, he was gone. Author’s Note: I think this is a less evil cliffhanger than the one in Chapter 8, or do you disagree? Either way, we are two chapters away from Part I’s ending, and when Chapter 13 is posted we will officially be halfway through! Another thousand thank yous for all of your support. The next chapter Establishments will be posted next Friday June 19.